April was busy, with lots of college visits on the agenda. My visits started in New York’s beautiful Hudson Valley at Bard College. This rural campus is 90 miles north of New York City and has a strong sense of community with faculty living nearby and engaging in activities on campus. Most students live on campus, and can explore programs from a five-year combined economics and finance degree, to Arabic and Film and Electronic Arts. 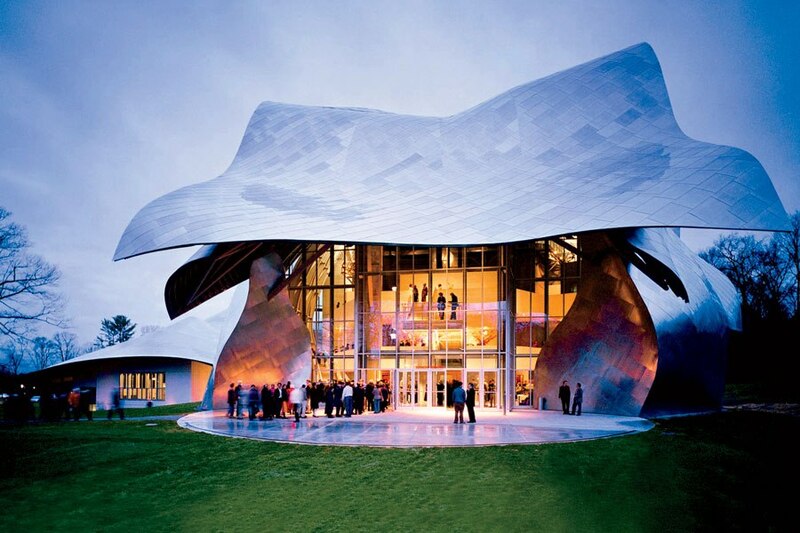 The Bard College Conservatory of Music provides a magical setting for visiting artists. All conservatory students immerse themselves in this unique program leading to two degrees: the bachelor of music degree and the Bachelor of Arts degree in a field other than music. Vassar College is a highly selective small, liberal arts co-educational college located in Poughkeepsie, New York, a mid-sized town 75-miles north of New York City in the Hudson Valley. The traditional setting includes nearby shops and restaurants, walking distance from campus. Almost all students live on campus, building community and connections among students and faculty. Strong arts programs are supported by a world-renowned Arts Center. Vassar offers extensive science programs and unique offerings such as Geography/Anthropology, Film, and Cognitive Studies, as well as many language and cultural studies options. Lots of construction was evident, including a vast new science building. Along with a strong study abroad program, Vassar students may apply to study for a year or a semester at Amherst, Bowdoin, Connecticut College, Dartmouth, Mount Holyoke, Smith, Trinity, Wellesley, Wesleyan, Wheaton, or Williams, all member colleges, with Vassar, of the Twelve College Exchange Program. Case Western Reserve University is located in Cleveland, Ohio in a very urban center with a thriving medical center for research opportunities. Engineering offerings are deep as are the sciences, including a variety of dual-degree programs and pre-professional degrees. Many international students study at Case, creating a diverse and culturally rich student body. Read more in my summary of an admission’s counselor visit to Seattle. The University of Michigan is located in Ann Arbor, a classic Midwestern college town with lots of school spirit and a large number of major selections offered through UM’s 19 Colleges and Schools. For students who want to get involved in research, the opportunities for both graduate and undergraduate students is impressive. Freshmen are guaranteed housing, and UM offers several living learning communities to further engage new students. 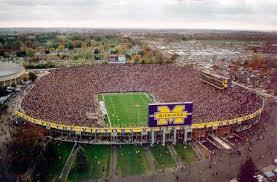 Students from all over the US and the world enjoy life in Ann Arbor, with this college town supporting everything UM! Kalamazoo College is a small, liberal arts college of approximately 1400 students and is located close to the campus of Western Michigan University. Kalamazoo is in the Colleges That Change Lives consortium and will be included in the CTCL Seattle College Fair, July 30th. Kalamazoo sends a very high percentage of students onto PhDs and other graduate programs. The K-Plan provides structure to research, analysis, exploration and academic excellence at Kalamazoo. You can read more in my summary of the admissions visit to Seattle here. The University of Notre Dame, in South Bend, Indiana is a strongly connected Catholic research university with tremendous school spirit and loyal alumni. Research, community service, athletics and engaged learning combine to make this a very popular choice for students. Nearby St Mary’s College is an all-women’s college offering a serene, safe and beautiful setting. Students are strongly supported by faculty and majors range from business to nursing and education. Augustana College in Rock Island, Illinois is located in a quiet and magical setting near the Mississippi River. Faculty and administrators reach out to prospective students who visit, promoting success and engagement for all students, and merit aid offers are impressive. Several pre-professional majors along with classic liberal arts offerings combine to allow students to explore real-world opportunities through internships and study. The University of Iowa sits on the banks of the meandering Iowa River, and includes a walking district similar to that in Boulder, Colorado. This college town is home to a thriving research university with school spirit and a strong Greek system. Grinnell College is a highly selective small, liberal arts college located an hour from the University of Iowa in a small, friendly town. Faculty live near campus and engage in campus activities and support students through mentoring and academics. Grinnell has one of the largest endowments of any small liberal arts college in the US, thanks to the donation of the founder of Intel, Robert Noyce. Research opportunities and excellent academic and facilities combine to make this a top choice for students considering graduate programs in medicine among many. Student life includes remarkable athletic and community buildings, as well as opportunities to study abroad and meet with the many luminaries brought to campus. Grinnell is 100% need-blind in admissions and meets 100% of a student’s need. Creighton University is a Jesuit university located in Omaha, Nebraska in an urban setting similar to Seattle University. Students are friendly and out-going. A direct-admit nursing program is offered along with a new energy-technology program among others. The popular NCAA Division I athletic program lends Creighton a real feeling of school spirit and includes Women’s Rowing. The University of Nebraska is a land-grant university located in the capitol of Nebraska, Lincoln. Capitol. It was obvious that school spirit is strong at Nebraska, with most students sporting red gear and enjoying campus life on this spring day. Research is important on campus, with offerings in many areas, including extensive agricultural programs. The Cornhuskers are part of the Big Ten Conference and school spirit is strong.